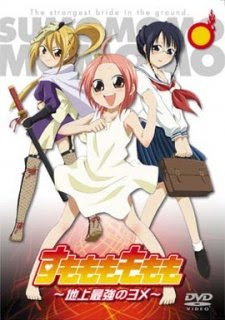 Momoko Kuzuryuu is a martial-arts crazed teenage girl who has grown up in the mountains with her father, a legendary fighter. However, one day her father tells her that because she is a girl, she will never be able to master the family’s ultimate technique. The only thing for her to do is go marry the strongest warrior, and produce the strongest offspring. Her unlikely fiance is the handsome but weak Koushi Inuzuka, the son of her father’s best friend and rival. Their marriage was agreed upon by their fathers before they were born. However, Koushi has no interest in martial arts; in fact, he is a coward who freezes whenever he sees violence. Instead, he wants to become a prosecutor, so that no criminal can escape capital punishment. Despite Koushi’s adamant refusal to marry her and his subsequent displays of cowardice, Momoko falls in love with him and swears to remain in his house and train with his father in order to become the strongest fiancee ever.